By Ashutosh KS in Desktop. Updated on August 27, 2018 . 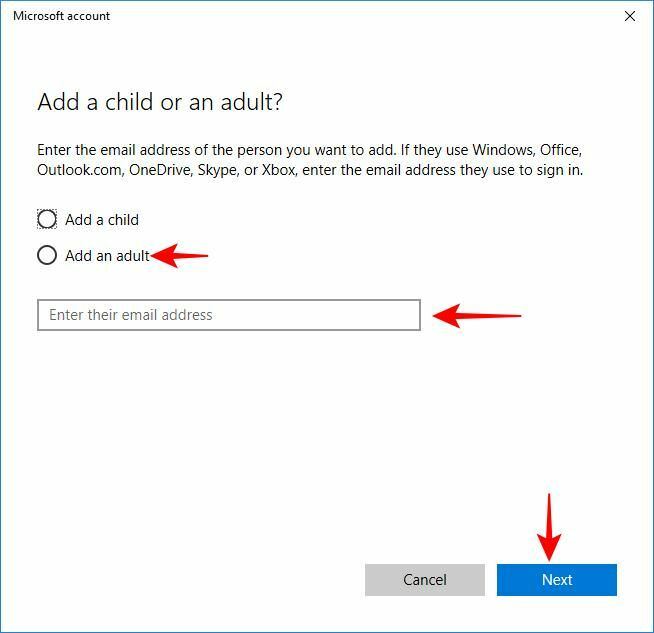 Choose “Add a child” in the “Add a child or an adult?” dialog. Under your child’s account, you will see Activity, Screen time, Content restrictions, and more options including time limits. 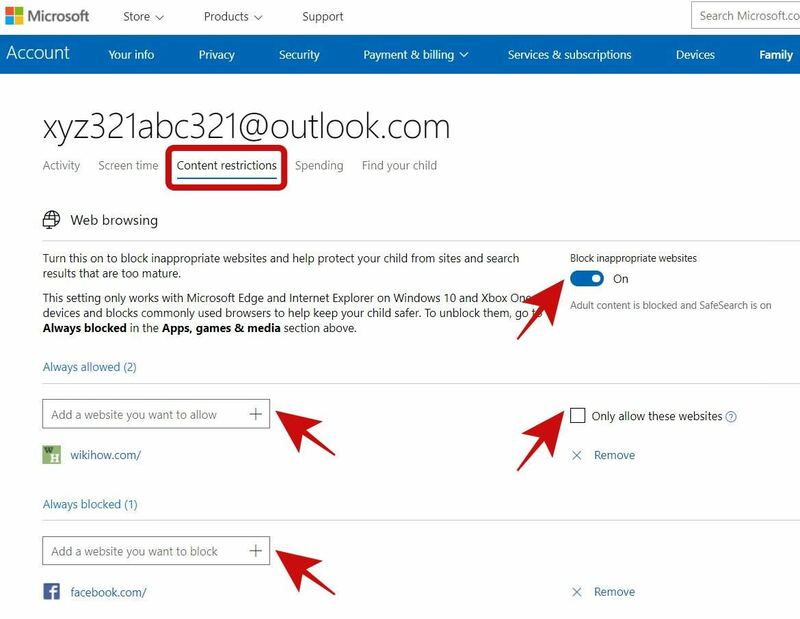 You can check out the Activity tab (under Family section of your Microsoft account) to keep a track on your child’s activities including his apps and games uses, web searches, and more. The activity list is organized under headings to help you quickly browse them at your convenience. Moreover, you can change the restrictions on apps and games or websites he/she uses/visits — click the “Change restrictions” on top-right of a section to change the set limits for the given activity. 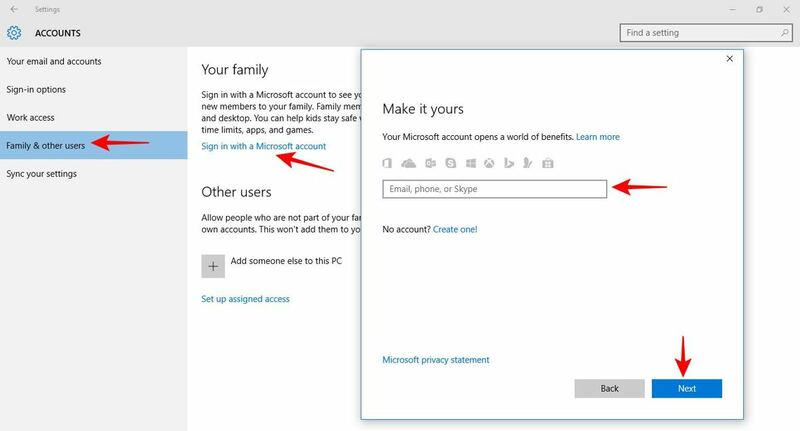 After you log in to Microsoft account, click Family on the top right, then select your child’s account from the family members list. Under Activity, click on Manage. Toggle on “Activity reporting” to collect and track your child’s activities. Turn on “Email weekly reports to me” to receive activity reports via email. You can limit your child’s access to the computer from the “Screen time” tab. If your child tries to access it outside the time window you set, he/she will not be able to log into their account, thus denying them access to the computer. Switch to the “Screen time” tab present next to Activity. 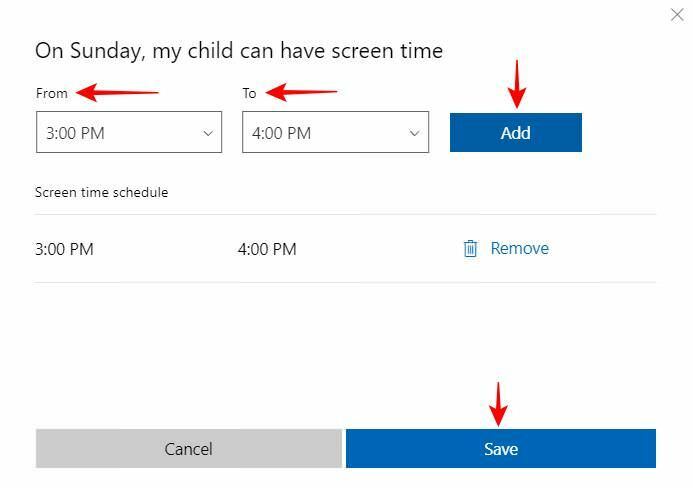 Under “Screen time that’s simple“, turn on the option “Use one screen time schedule” to set a schedule for all his devices. 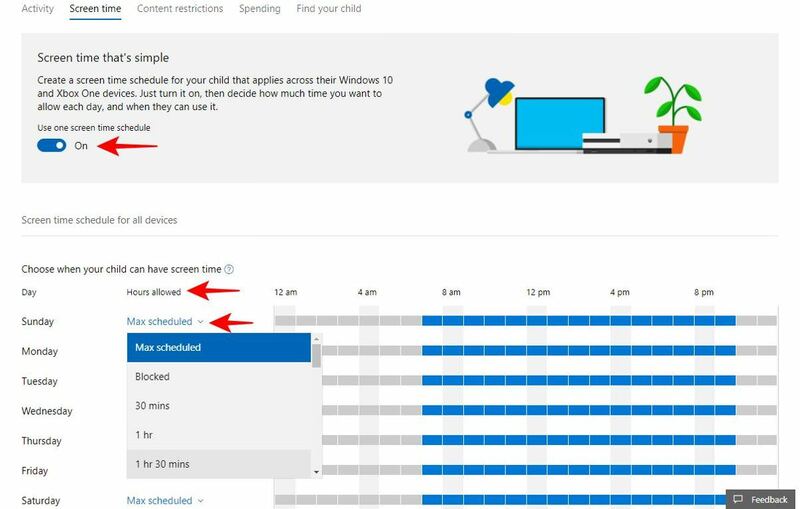 Then configure the allowed time using the drop-down “Hours allowed” for each day under “Screen time schedule for all devices”. You can choose “Blocked” from the drop-down to deny access entirely on any day. Alternatively, you can click on a day’s timetable to schedule an access period for each day, under which, your child can access the system. You can restrict websites, blacklist or whitelist websites, and limit the access to apps, games, and media as well. 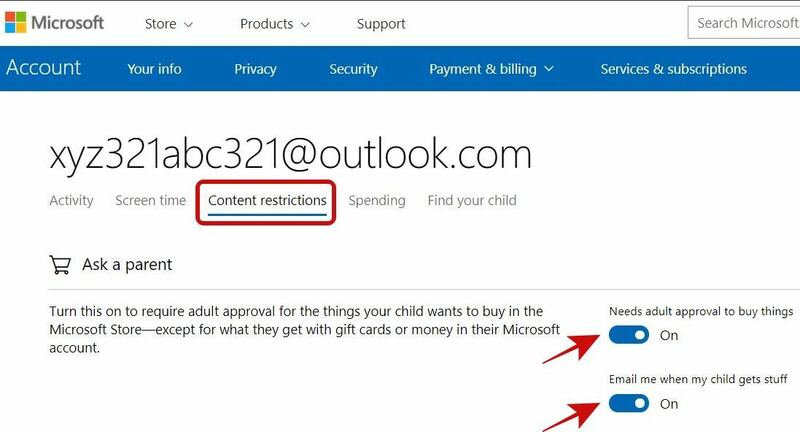 Moreover, you can turn on restrictions for online purchases through Microsoft Store and receive emails for them too. Click on the “Content restrictions” tab. Under “Ask a parent“, turn on “Needs adult approval to buy things” to block him from making purchases on Microsoft Store. 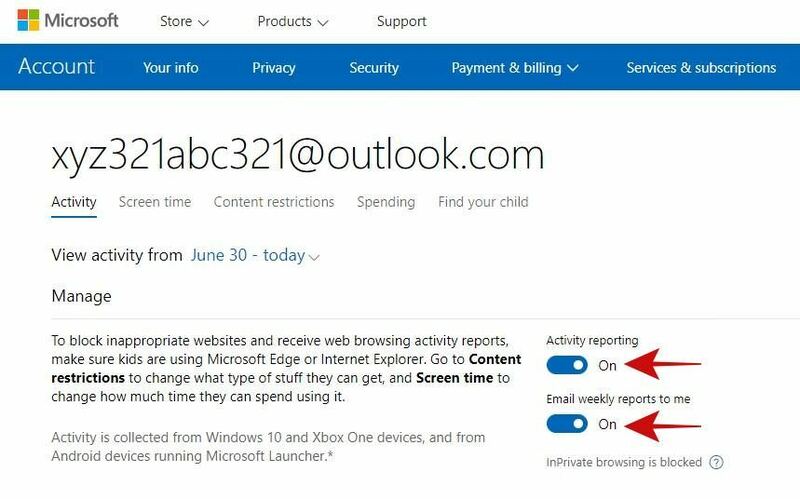 Under “Ask a parent“, toggle on “Email me when my child gets stuff” to receive email updates for purchases made by your child. Under “Apps, games and media“, turn on “Block inappropriate apps, games & media” to block the unfit apps and games. Select one of the options in the dropdown named “Allow apps and games rated for” to a set a content rating for your child. Under “Web browsing“, click on “Block inappropriate websites” to block adult content and enable SafeSearch on the default browser. You can allow a website by entering it in “Add a website you want to allow” and block a website by adding it in “Add a website you want to block“. You can turn the allowed websites into whitelisted sites, i.e., allow only these sites by checking the option “Only allow these websites“. 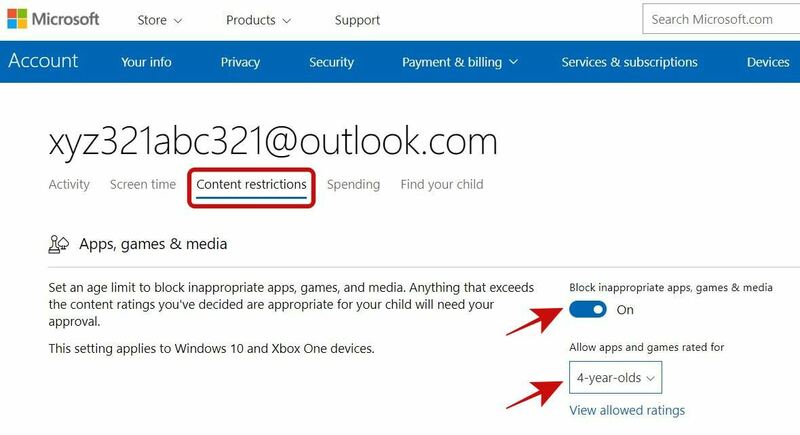 Microsoft family is one of the best parental control tools one can come across — especially if you are looking for a free solution. Though it works just with apps from Microsoft, it is worth a try if you are using a Windows 10 PC. 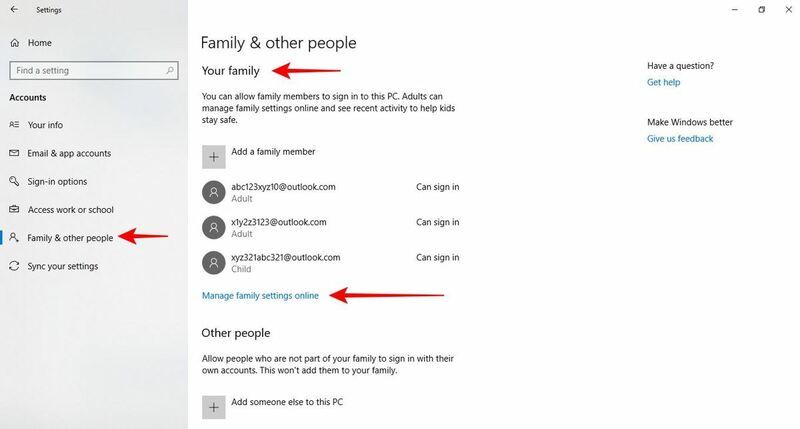 How was your experience setting up your Microsoft family? 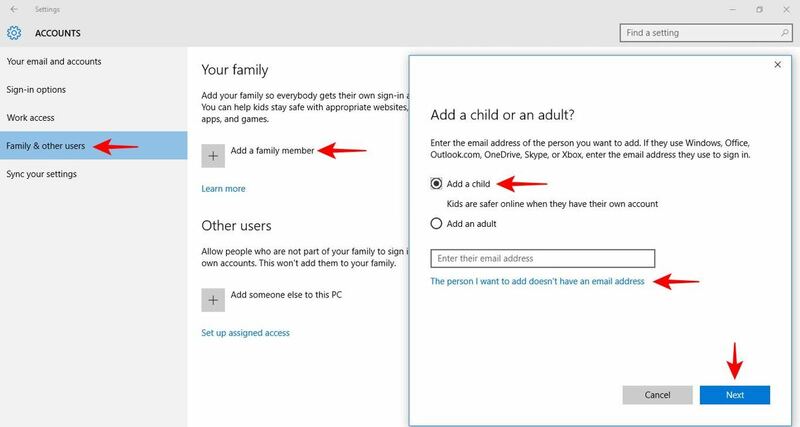 Which is the best feature in Microsoft family per your experience? Please leave a comment below and write to me directly at @aksinghnet on Twitter to share feedback.